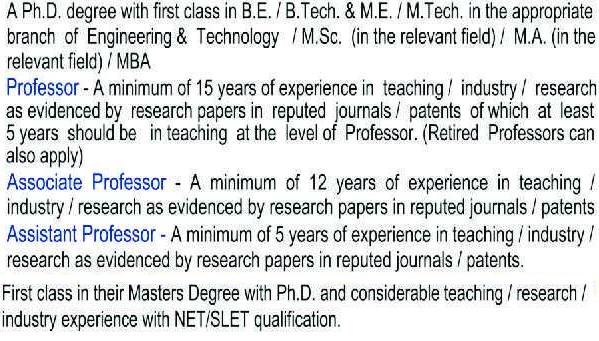 Karunya Institute of Technology And Sciences, Coimbatore has advertised in THE HINDU newspaper for the recruitment of Teaching Faculty- Professor / Associate Professor / Assistant Professor / HOD / Director Plus Non-Faculty jobs vacancies. Interested and eligible job aspirants are requested to apply on or before 20th February 2019. Check out further more details below. About College: Karunya Institute of Technology and Sciences, was founded with the noble vision to raise professionals and leaders of high academic calibre and unblemished character, nurtured with a strong motivation and commitment to serve humanity. The institution is the fulfillment of the vision of its founders Late Dr. D. G. S. Dhinakaran and the present Chancellor Dr. Paul Dhinakaran. Established in 1986 as an Engineering College, it was granted an autonomous status in 2000 and declared Deemed-to-be University by the University Grants Commission (UGC) in recognition of its academic excellence by the Ministry of Human Resources Development under section 3 of the UGC Act, 1956 vide notification no 9-3-2000-U3 dated 23.6.2004 of the Government of India. Accredited by NAAC, the institution offers a wide array of Bachelors, Masters and Doctoral Degree programmes in various branches of Engineering, Biotechnology, Food processing and Agricultural Sciences. From a humble beginning of 180 students, the institution has rapidly grown to 8491 students and 452 faculty representing 18 academic departments. Professor: Pay scale 150350 - 263750 & Gross Pay per Month Rs.234547/- at minimum of scale. Associate Professor: Pay scale 134420 - 235830 & Gross Pay per Month Rs.209695/- at minimum of scale. Assistant Professor: Pay scale 55520 - 97470 & Gross Pay per Month Rs.86611/- at minimum of scale.